Our guide to Antique Timbers offers detailed descriptions of companies such as Trestlewood and Old Wood Workshop, LLC. 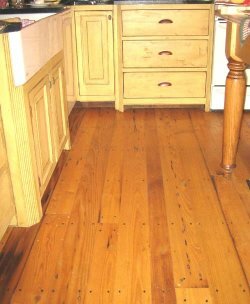 This small company specializes in vertical grain antique heart pine flooring, custom milled from timbers salvaged from old buildings. Reviving American Chestnut as flooring.